What on earth was I thinking? I have asked myself this many times in the past few months as I took my dream of starting a truly South African digital yarn magazine from a spark of an idea to what it has become today. So who am I, and how did this magazine come to be? Above all else, I am a yarn addict with a passion for every avenue offered in the pages of this magazine. Having learnt to crochet and knit at the age of 8 (thanks Oumie! ), I’ve spent a quarter of a century creating, testing and loving all things yarn. 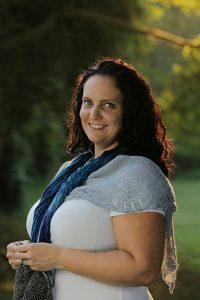 Knowing that I needed to earn some money in order to support my yarn addiction, I trained as a graphic and web designer and, after spending many years in publishing, decided to open a small media company. After spending far too many late nights working on the umpteenth last minute client request, I was feeling tired and a little frazzled to say the least. I hadn’t had time for my hobbies in a terribly long time and I felt empty. Then I happened upon a group of ladies who showed me that crafting is not only about the yarn, it’s about friendship, love and support. Through yarn, these amazing women have become my tribe and I’ve become invigorated again. And from this place of renewed energy, Create Magazine was born. So, let’s talk about the important stuff. What can you expect from the digital magazine that you have in front of you? In one word… CHANGE! This magazine is all about celebrating what the South African yarn market has to offer. All the yarns we feature are available in the country; all the patterns are designed by South African designers. Create Magazine celebrates and embraces the use of digital media. For starters, we’ve included links to stitch tutorials that we’ve created for you explaining various stitches used in the magazine – there is no need for you to juggle your magazine while scouring Google for an explanation of a stitch. Simply follow the link in the text. All the advertisements you see in the pages of the magazine will be linked straight to the website in question meaning that you can connect with the supplier in a heartbeat. My personal favourite facet of this magazine is the photography. I am so blessed to be married to a very talented professional photographer and, when faced with the task of capturing the beautiful designs that we’re featuring, there was no question as to who the job would fall to. Geoff understood what I wanted from each shoot without my having to really verbalise my needs. And he nailed it each time! With the help of our amazingly beautiful models, the job was made that much easier. Kathryn, Tajha, Chantal, Ella Mae, Tarryn, Emily and Gillian, thank you to each of you for bringing the shoots to life. To our designers, Brenda, Carle, Jessie, Beatrix, Chantal, Julie and Gina, I am blown away at the detail of your designs and that you believed in this little startup from the beginning! I do believe that the photos we’ve captured of your works of heart do them the justice they deserve. To those that have given me infinite support in the build up to this launch, I can’t begin to explain how grateful I am to you. To hubby, thank you for doing it all – cooking supper and looking after our son while I locked myself in my office, retaining your sense of humour when mine failed, and for believing in my dream and supporting me all the way. To my best friend, Chantal, you’ve been my sounding board and my rock throughout this journey and I couldn’t be more grateful. To the tribe of ladies who helped to show me what friendship is all about, I’m eternally grateful for the support and encouragement. I can finally get back to attending social evenings and dyeing yarn, guilt-free! Sheralynn, I’ve never known someone with so much knowledge about the yarney-fluff we love so much – thank you to the moon and back for your help with our yarn review. There is so much more I’d love to tell you about the magazine, but it’s probably going to be easier to let me show you in the pages that follow. I do hope you’re all as excited to flip the page as I am! Let me know if you have any comments or suggestions – I will listen to them all.